For more than 20 years, a large international group of researchers, including from Aarhus University, has worked purposefully to investigate a gene that protects wheat against yellow rust. Yellow rust is a widespread and serious fungal disease that causes many losses in wheat globally. The researchers' new knowledge is an important piece in the jigsaw regarding the development of new cultivars of wheat that are resistant to yellow rust. The results were recently published in Nature Communications. Wheat is one of the world's most important crops. On a global scale, 244 million hectares are grown annually, which is more area than any other crop. The yield is more than 750 million tons per year. Wheat is widely used for both food and feed so it is therefore important to protect it against fungal diseases. One of the diseases that can infect wheat is the fungal disease yellow rust. 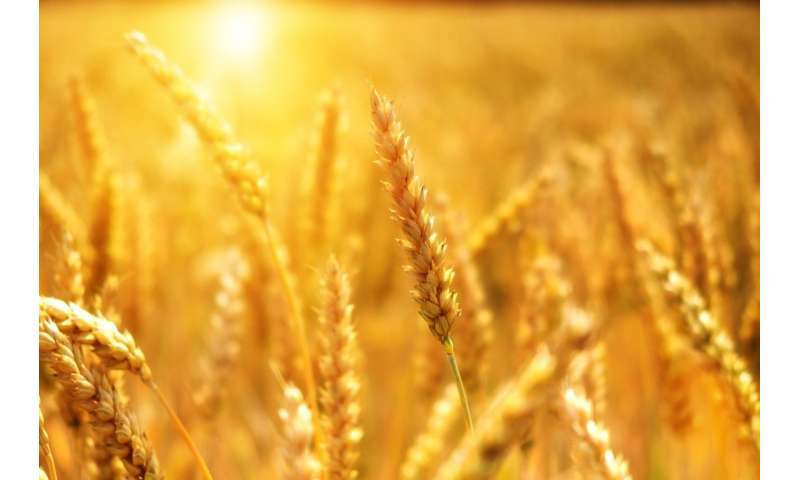 Approximately 88 percent of wheat production is susceptible to yellow rust, and a conservative estimate says that the disease ruins at least 5 million tons of the global annual wheat harvest. "Yr15 is an old acquaintance and plant breeders already have it on hand. The new and exciting finding is that we have discovered that Yr15 works differently than other resistance genes. It produces defence responses early in the infection process, and we have found only one single case where the fungus could bypass this defence," says Professor Mogens Støvring Hovmøller from the Department of Agroecology at Aarhus University and one of the researchers in the international group. Breed disease-resistant crops requires access to resistance genes that represent the whole array of modes of action. In this way, if the fungus overcomes one defence mechanism, other resistance genes may prevent the fungus from causing disease in the plant. With the aid of advanced microscopy, the researchers at Aarhus University observed the actual defence responses associated with Yr15 resistance in wheat. The researchers used a wide array of fungal isolates hosted by the Global Rust Center at AU Flakkebjerg, where fungal isolates from all over the world are stored for the purpose of research in wheat rust.